The creators of Spotify, Songza, Pandora, and other streaming music apps officially have one more competitor to worry about in iTunes Radio. At the World Wide Developer’s Conference, Apple unveiled a number of exciting new developments, including the beautiful iOS 7. And one of the new features on the updated software: iTunes Radio, Apple’s entry into the competitive streaming music field. So the rumors were true. Services chief Eddie Cue showed off the new feature to a rapt crowd – and made sure that he played a little Led Zeppelin, since the rock group’s music hasn’t been available on streaming services until now. Apple has the advantage of enjoying a long-standing relationship with artists and labels given iTunes veteran status on the digital music scene, which could work to the platform’s advantage. iTunes Radio offers iOS users what looks like a very attractive new option, since it lets you choose from hundreds of pre-selected radio stations, or you can create your own based on your favorite musical artist or song. Just from the demo, you can tell that it shares many similar features to streaming music services already in existence; for instance, when you’re listening to the radio, if you like one of the songs you can adjust the algorithm by hitting a star button to “Play More Songs Like This,” or you can veto the song permanently. This is very similar to the feature on Spotify that lets you give songs you like the thumbs up or thumbs down. And iTunes Radio also gives you an option to put the song on your iTunes Wishlist, so it acts as a discovery tool for people who want to download songs as well. 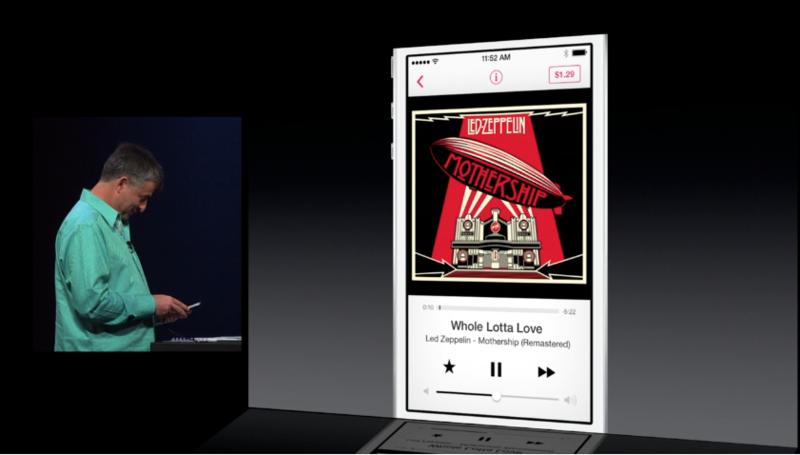 It’s free with ads, but if you sign up for iTunes Match ($25 a year), it’s free without ads. “Another great feature of iTunes Radio is it keeps track of all the songs and stations you listen to across devices,” Cue explains. So you can take a look at your history if you hear a song you like at the gym but didn’t have an opportunity to put it on your wish list. From early glimpse, the clean interface will be simple to navigate. 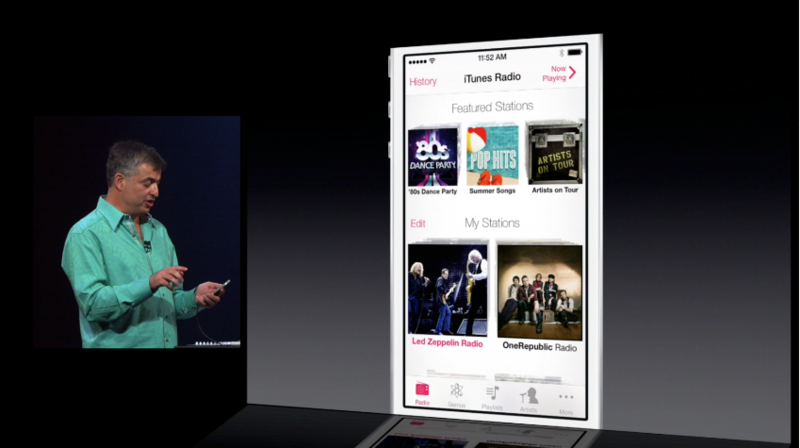 When you open the program, you immediately see “Featured Stations” Apple has selected. However, your faith in this will likely depend on your experience and success using Genius – which we’d called “varied” at best. iTunes Radio is built into iOS 7, and it works on the iPhone, iPod Touch, iPad, and you can get it through iTunes on your Mac or PC – or Apple TV. Right now, the iTunes Radio feature is only available in the U.S., but it will expand to other countries in the future. Right now, iTunes Radio doesn’t look as robust as Pandora and Spotify as far as features go, but the fact that it will have a stocked library and Apple’s iTunes and iOS popularity and popular behind it will undoubtedly aid its fight in an increasingly crowded market.